This weekend saw me and others heading south out of Pennsylvania into Maryland to spot bald eagles. The Bald Eagles along with turkey vultures and other birds of prey scan the Conowingo Dam region. I was told a rumor that the eagles like to hunt the river shad that congregate near the dam but I have not yet been able to confirm that. A good pair of binoculars can reveal as many as sixty or more Eagles at any given time. Unfortunately my cheap camera was not as good as a pair of telescope lenses. 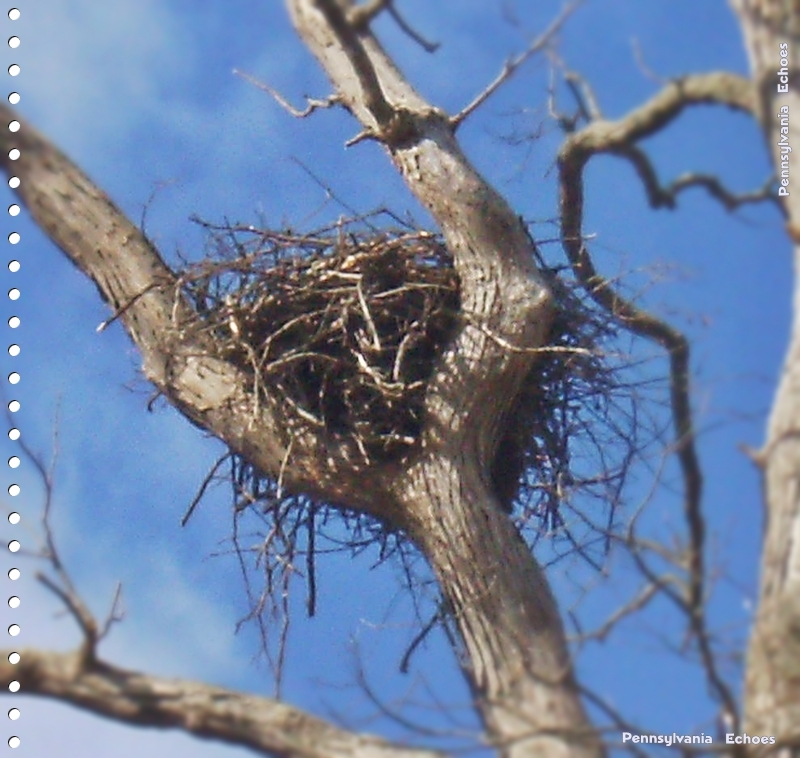 I couldn’t get a good picture of the birds (YET)… but I did get a couple others including this Eagles nest. None the less, the experience was thrilling, especially being so close to a nest. 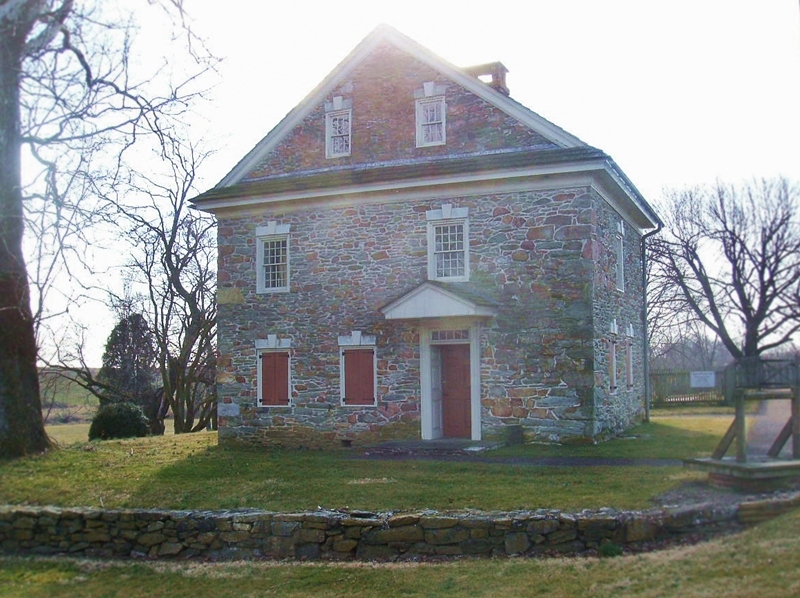 On the way back home, I took a photo of historic Robert Fulton house, located south of Quarryville Pa on the “Robert Fulton Hightway” or 222 South. Next trip I hope to have some more pictures including some Bald Eagles and other large birds. That’s always exciting to see eagles. We saw a real storks’ nest in Germany. Very cool too since we don’t seem to know of /see storks in Canada. Yea, the same bird in fairytales. I would love to see storks! Thanks for your comment , Jean. There are two Bald Eagles that live just up the road from us. I love seeing them in the big old maple tree. They soar over the property here and on a sunny day their shadow moves across the field. They are such an incredible bird. They sure are incredible Joss. 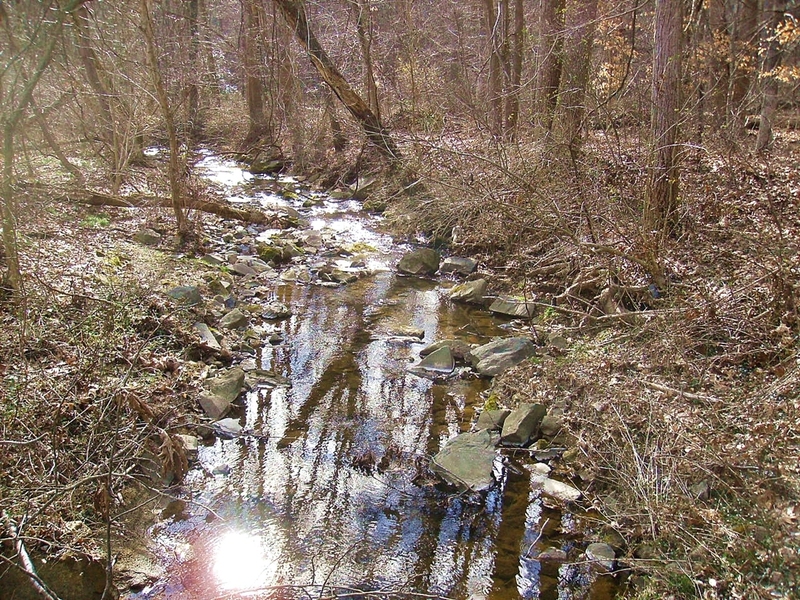 I live in a small city today, but when I use to live on a foresty foot hill, I use love to listen the occasional squelches echoing as they flew near by. Great posting. Yesterday, we saw our first Bald eagle over Shrewsbury,PA. We have lived in Shrewsbury for 30 years. Thanks for reconfirming my eyes. 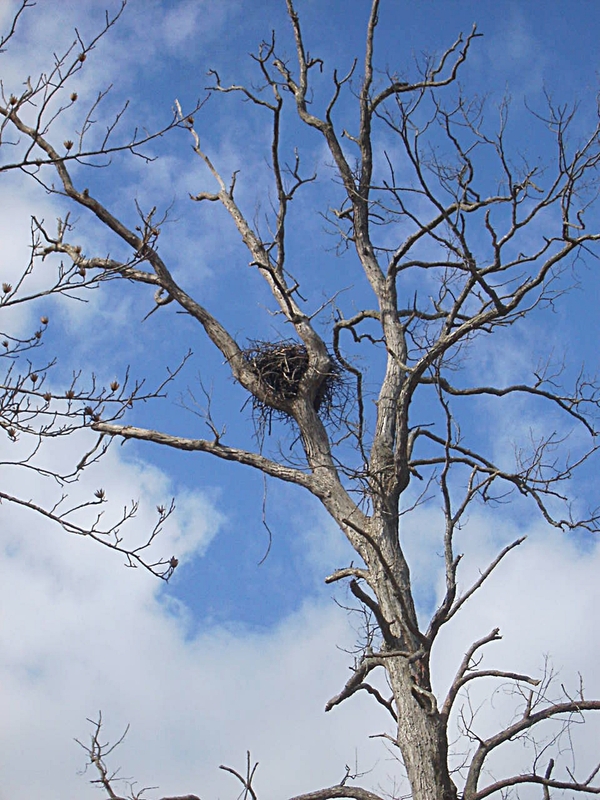 I was looking a this article about Eagles nests across Pennsylvania. there is a live video stream of an eagle nest at.